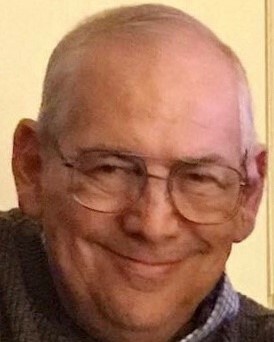 Mitch Pemberton, 75, of Rossville, formerly of Wapakoneta, OH passed away peacefully in his home Monday, February 11, 2019. He was born July 14, 1943 in Chattanooga to Almalene and Albert Jimenez. Mitch was a graduate of Lima Senior High School. Upon graduating, he chose to serve his country with honor in the U.S. Army, and was stationed Germany. Mitch was a legend in the Ohio music scene in the 1960’s, managing Springbrook Gardens. He was the drummer for The Charades, manager of the famous Ohio Power, and inventor of the French Fried Pickle. Often imitated, never duplicated. Mitch was preceded in death by his mother Almalene Jimenez. He is survived by his father Albert Jimenez, children Traci (Glen) Hirschfeld of Sylvania, OH, Thad (Tanya) Pemberton of Rossville, Tara (Aaron) Hanson of Phoenix, AZ, and Kate Bindel of Lima, OH, grandchildren Dr. Adam (Devon) Hirschfeld of Cleveland, OH, Alden (Lauren) Hirschfeld and Addison (Alexa) Hirschfeld of Sylvania, OH, Lincoln Hanson and Layton Hanson of Phoenix, AZ, Juniper Blodgett and Max Blodgett of Lima, OH, and great-grandchildren Hayden, Bastian, Hunter, Vivian, Carson, and Witten Hirschfeld. A celebration of life will be held 3-5 PM Saturday at Heritage Funeral Home & Crematory, Battlefield Parkway. 3239 Battlefield Parkway Ft. Oglethorpe, GA 30742.